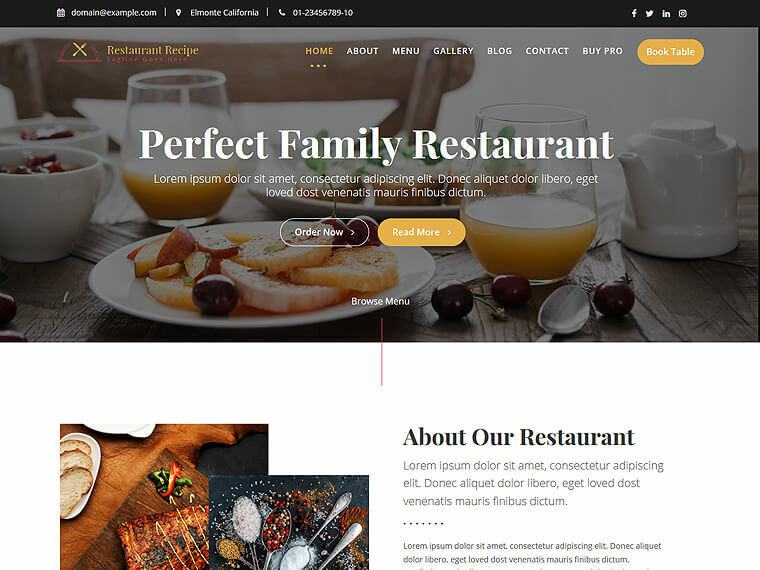 Restaurant Recipe is a wondrous and modern WordPress theme made for restaurant and cafe. It aims to let the owners of any type of restaurants small or big build an online presence of their company and extend their business development. The theme is also suitable for hotel, resort, lodge, home stay business or any hospitality business model. A website not only shows an online professionalism of a company but also helps to promote it widely. The layout of the theme has been well-structured with a pleasant appearance and consists of exciting and full-fledged features and functionalities. The astonishing look and supreme widgets available in the theme will instantly capture the attention of its viewers. It is a highly responsive theme that fits in all screen size. The other features include Awesome Featured Section, Responsive Slider Image, Advanced Logo Options, Translation Ready, Colors Options, Custom Sidebar Areas, Layout Controls, Social Media Integration, Browser Compatibility and much more. Furthermore, it can easily be customized and modified according to the user’s need. 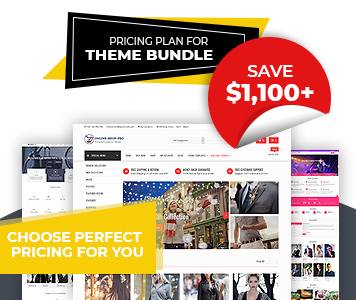 Hence, a flexible and user-friendly theme for everyone. 9+ custom Widgets. This theme comes with advanced custom widgets for the home page and sidebar management. Make your home page as you need with lots of options on widgets. One page or Multiple pages ready, Used for many purposes. Custom template is available to make the inner pages with the help of Page Builder by Site Origin Plugin. Use the page builder plugin to make an awesome site. By the concept of the repeater, you can use an unlimited number of the slider on your site. Just select the page, you will get all the slider easily. No restriction. You can easily change the primary color and background color of the site with a single click. You have more colors for Featured col sections and footer section as well.